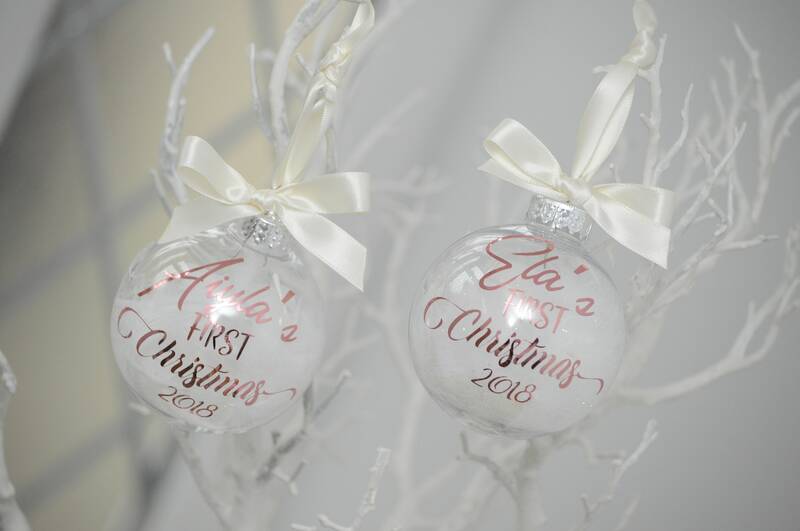 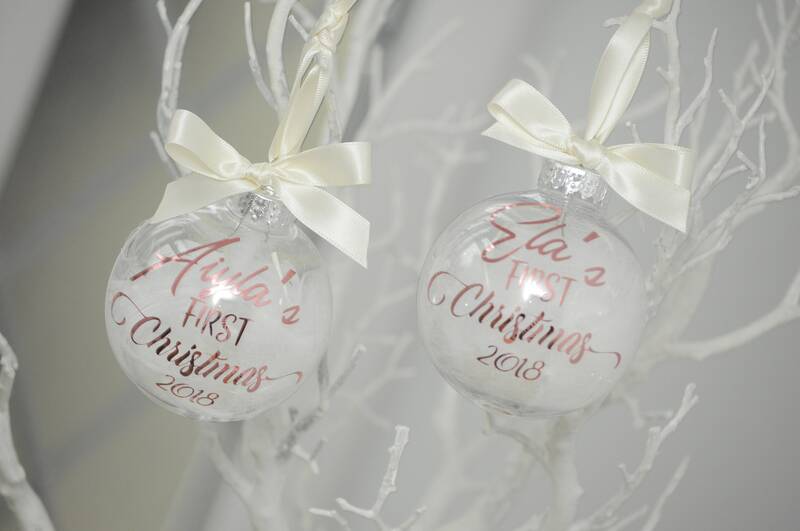 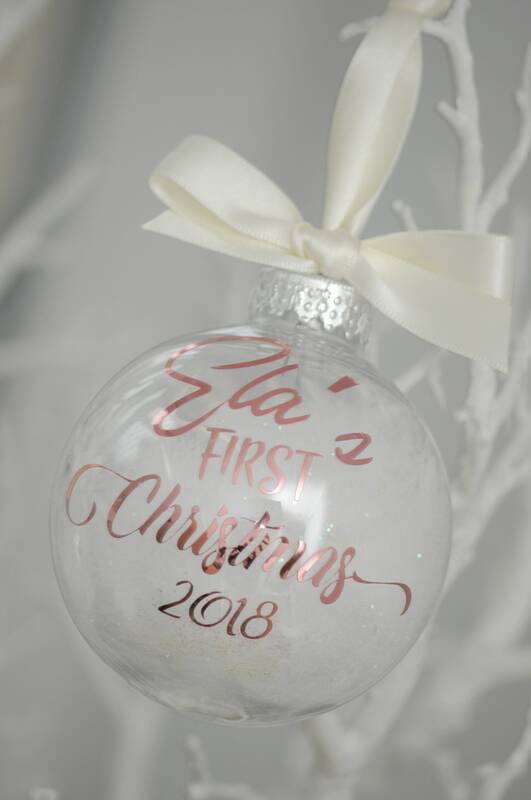 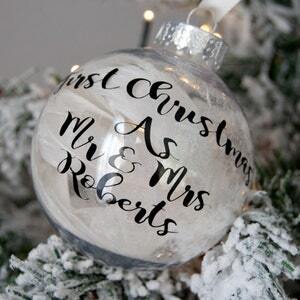 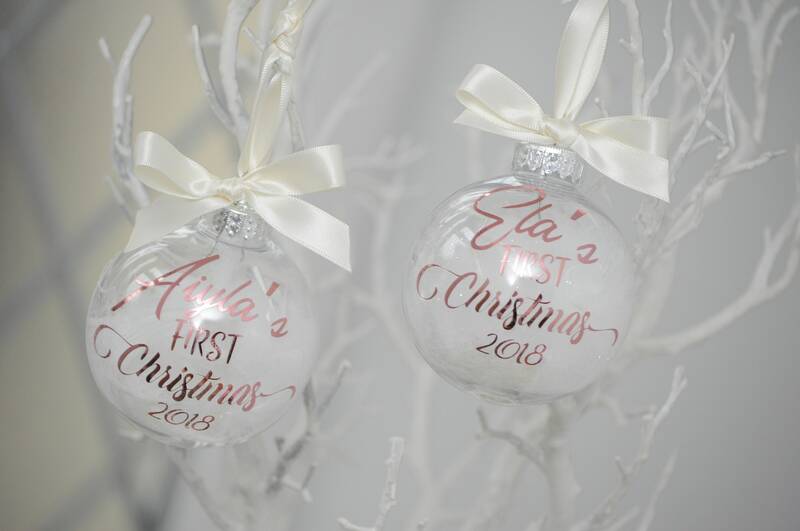 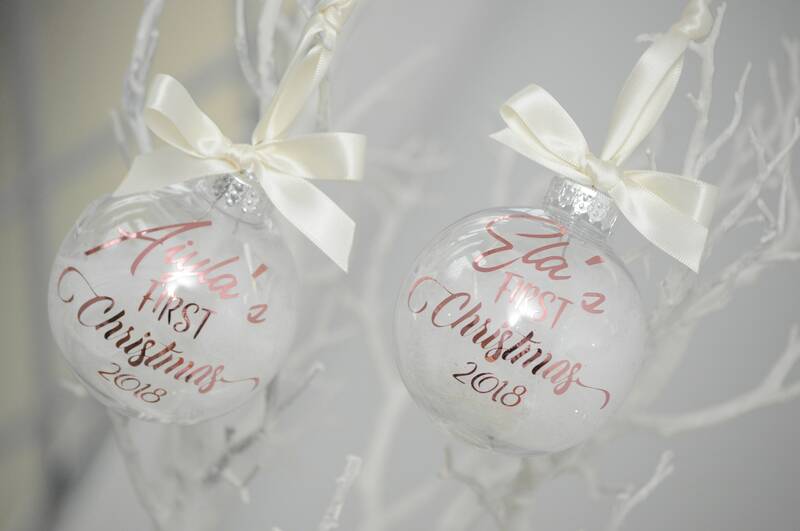 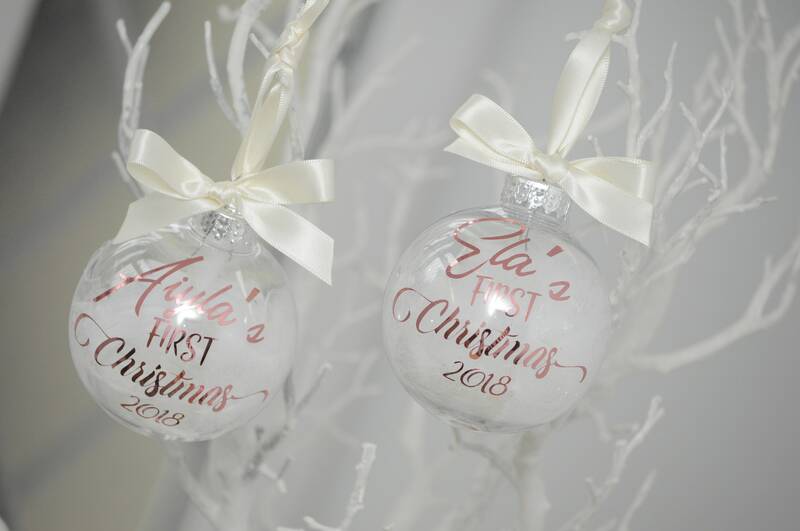 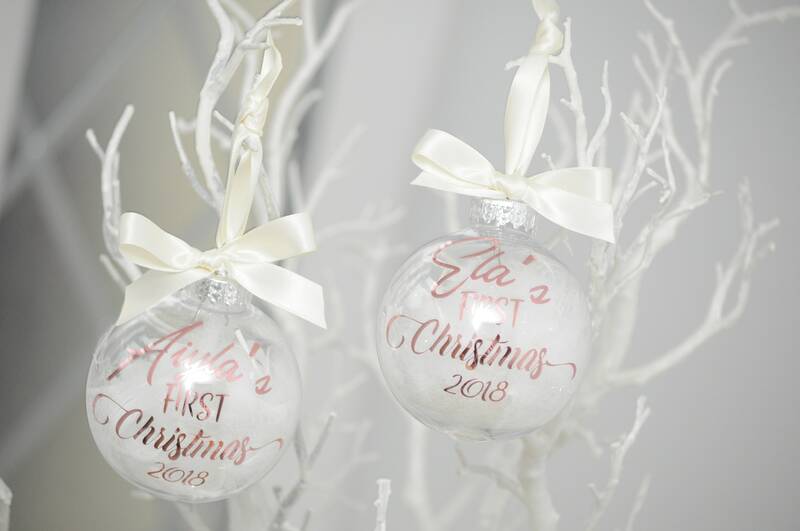 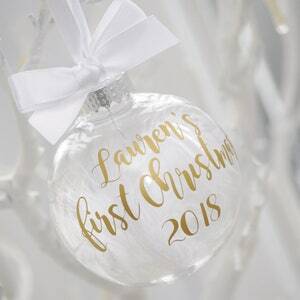 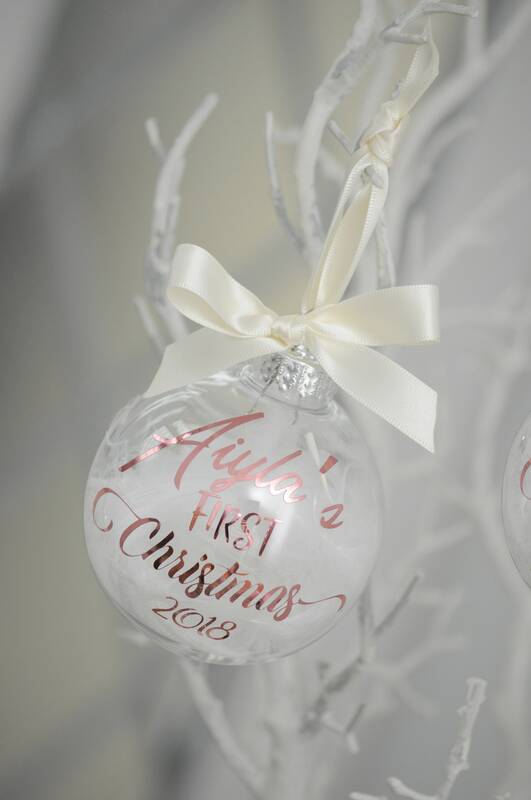 1x Personalised Christmas baubles, each handmade bauble is plastic shatter proof. 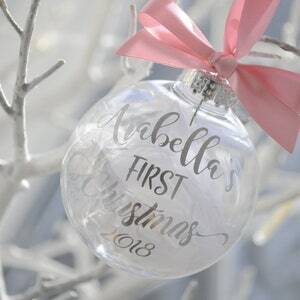 Baubles are filled with feathers and iridescence glitter. 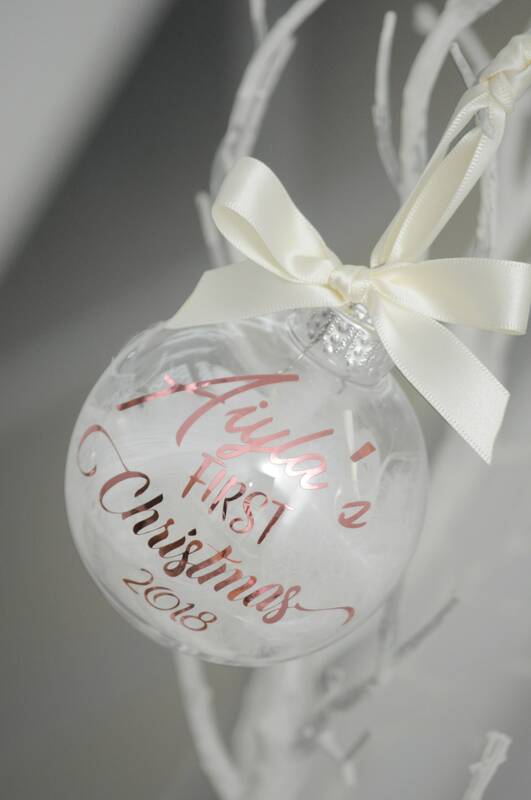 Each Bauble measurements is 8cm round. 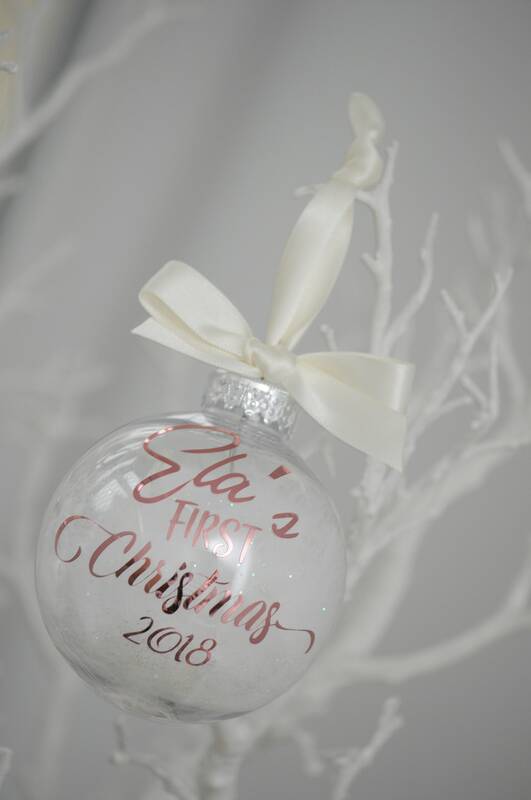 Everything is handmade so variation will occur. 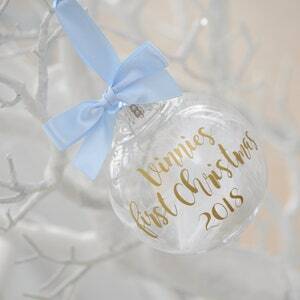 International shipping price will depend on the quantity ordered, please contact us for your requirements.